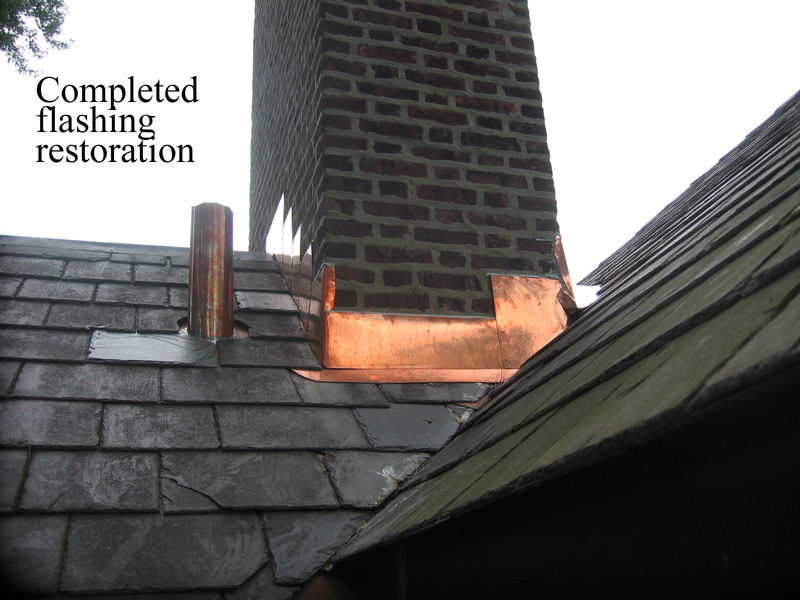 The copper flashing on this 80 year slate roof has deteriorated allowing leaks at the chimney and plumbing stack. 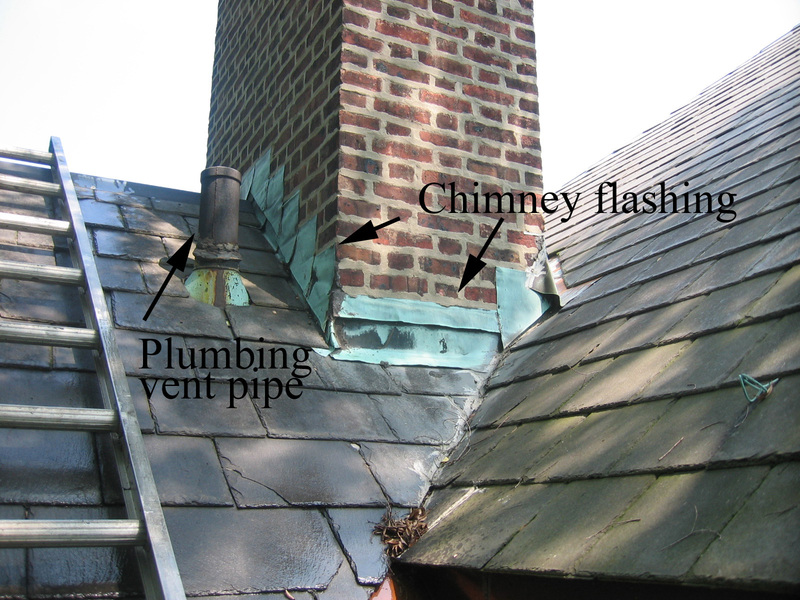 The chimney and plumbing vent pipe perimeter slates were carefully removed. The old flashings were replaced with new 16oz copper flashings and the slates re-installed. 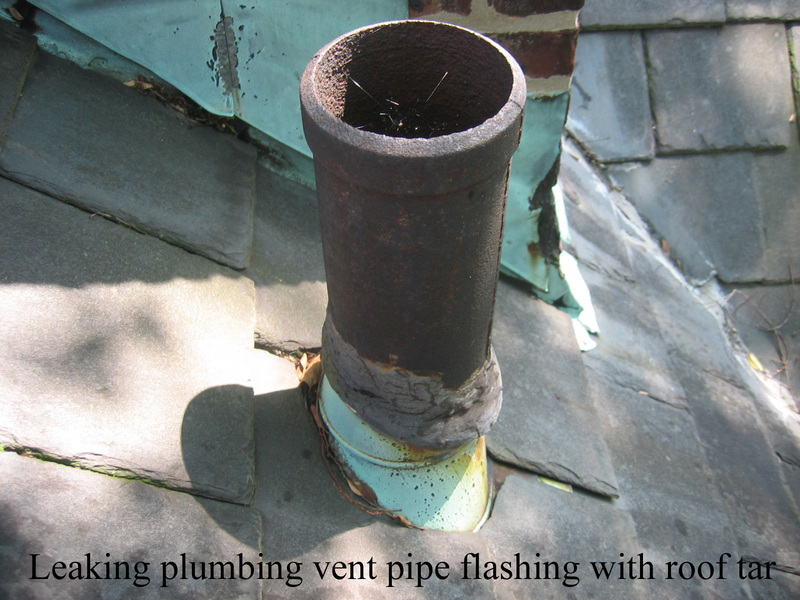 A leak in your bathroom or laundry room ceiling is often from failed plumbing vent pipe flashing. 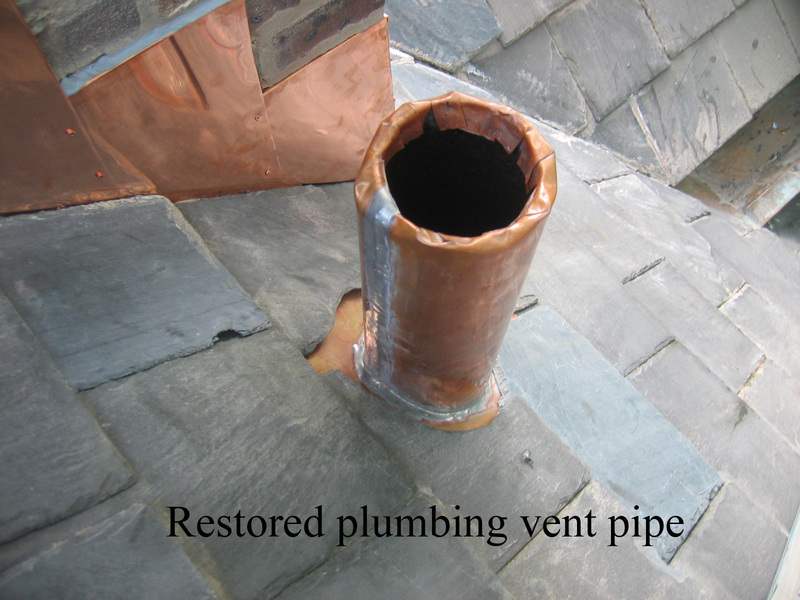 This pipe was improperly repaired with roofing tar. Properly repaired flashings will protect your home for many years.